Have plants you must prune or cull? How about trading your excess with others in your neighborhood? 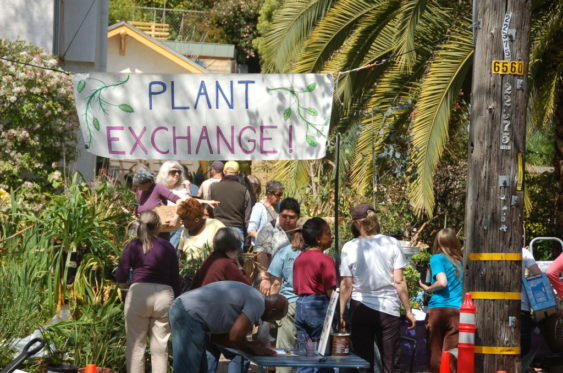 Take home new plants for your yard and have an instant new garden all for free at the Spring 2019 Free Plant Exchange happening on Saturday, March 23, 2019 in Oakland. All size plants are welcome from seeds and bulbs to full size; they only ask that you label what you bring, so others know what they’re taking on. Garden tools, accessories and decorations are welcome as well. No time to re-pot donations? Bags and newspapers will do.